Lewis Hamilton has been named 'Person of the Year' by PETA in recognition of winning a fifth Formula 1 title while sticking to a vegan diet. The animal-rights charity credited the Mercedes man for "inspiring his legions of fans" to ditch meat. Hamilton has followed a plant-based diet since 2017. Indeed, his Instagram bio makes mention of his vegan lifestyle, but not of his racing career. The Brit said of his switch to a Vegan diet last year: "I feel the best I've ever felt physically and mentally. "All year I've felt very strong mentally, but I think physically I'm now taking also a big step and that's really the decision I made to change my diet. 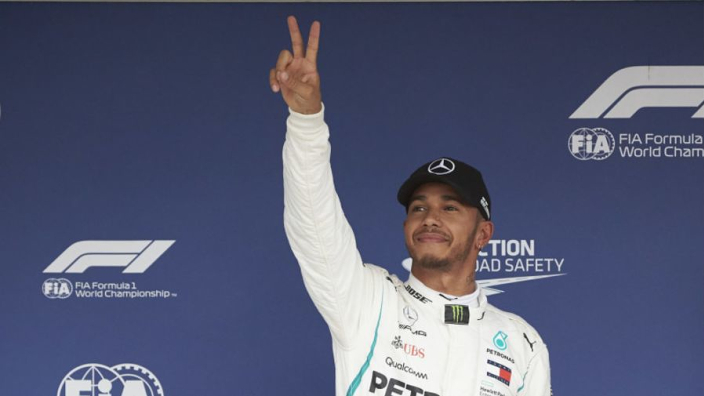 The move to veganism has helped Hamilton see off the threat from Sebastian Vettel in the past two seasons and his promotion of the lifestyle has been honoured. PETA founder Ingrid Newkirk said: "Lewis Hamilton has proved to be not only a fantastic driver but also a force for good and a powerful ally of animals used for food. "PETA is honouring him for inspiring his legions of fans to follow his lead, jump-start their own energy levels, and spare animals' lives by going vegan."